As we advance into our 10th year as an association, WIPA is bounding past our existing 10 Chapters. It seems every week another team of professionals from around the globe is seeking our guidance on how to bring WIPA to their community. It is amazing how you all as a community of professionals are transforming the landscape of the wedding industry. I want to say thank you to my 2018 International Board. They are a team of incredibly dynamic and intelligent professionals that are very committed to giving back to the industry. I encourage all WIPA members to look for ways to experience the inspiration and camaraderie that comes with serving on a committee and in a board position. As I travel to meet the new boards of our new chapters and divulged to them the wonders of WIPA, I see communities and businesses transforming through their work on the board, and their chapter meetings and committee work. We are not just creating events and educational networking opportunities, but we are having a larger discussion about what is ethical, what is right, what adds to our engaged couples' experiences. The larger discussion is about how to serve our engaged couples in a fair, professional, and unique way. Believe it or not, this industry is still in its infancy. The modern event industry as I see it is less than 30 years old. Before that, an event most often consisted of a basket of mums as a centerpiece on top of a colorful linen. We did not have the resources that creative and innovative professionals have brought forth since then to create an actual industry based on the imagination of thousands of individuals drawn to create memories. When I started 24 years ago, this was a different industry. There was no way to meet other wedding professionals, no opportunity for greater education and high-level networking. We were all islands in our own world of business. WIPA has transformed this and has brought our community together. WIPA has provided a platform for professionals to learn from each other, to press ethics and to highlight innovation and excellence. To all those who are now and have been on a WIPA board or committee, and especially to our Founding Sponsors and Founding Members, I say to you, take a bow. Your foresight, hard work, sacrifice, and brilliance has led this industry in a better direction and has improved the lives of engaged couples and wedding professionals far and wide. To all the new chapters that are forming..........get ready, it's a wondrous ride!!!!!!!! Our mission is to provide industry-leading education for our members, produce inspirational networking events and advance the ethical standards of the wedding industry. Our founding board worked with a diverse group of WIPA members to develop the professional conduct and code of ethics to achieve the highest standards of excellence. The 2018 NACE Experience conference will be held at the JW Marriott Desert Springs Resort and Spa in Palm Springs, CA from July 22-25, 2018. 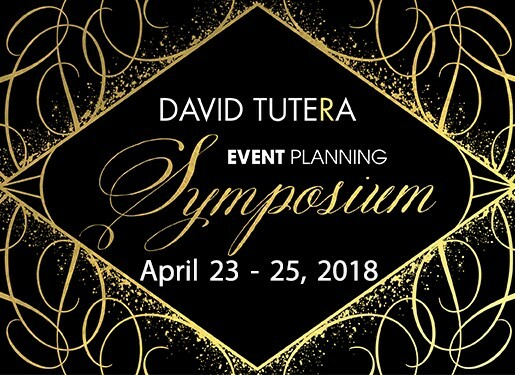 We are pleased to provide you with a partial scholarship of $500 to attend the David Tutera Event Planning Symposium. There's nothing off-limits to discuss at the Symposium, and best of all he'll get into the business of events and wedding planning with all of the glamorous and not so glamorous parts that come along with it. David Tutera is a world-renowned wedding planner and event designer, and is excited to pull back the curtain to unveil his 30+ years of knowledge and insight of building a successful business and brand in the event industry and is sharing it with YOU! David is hailed as an artistic visionary whose ability, uniquely creative talents and outstanding reputation have made him a tremendous success in the Events and Lifestyle arena. 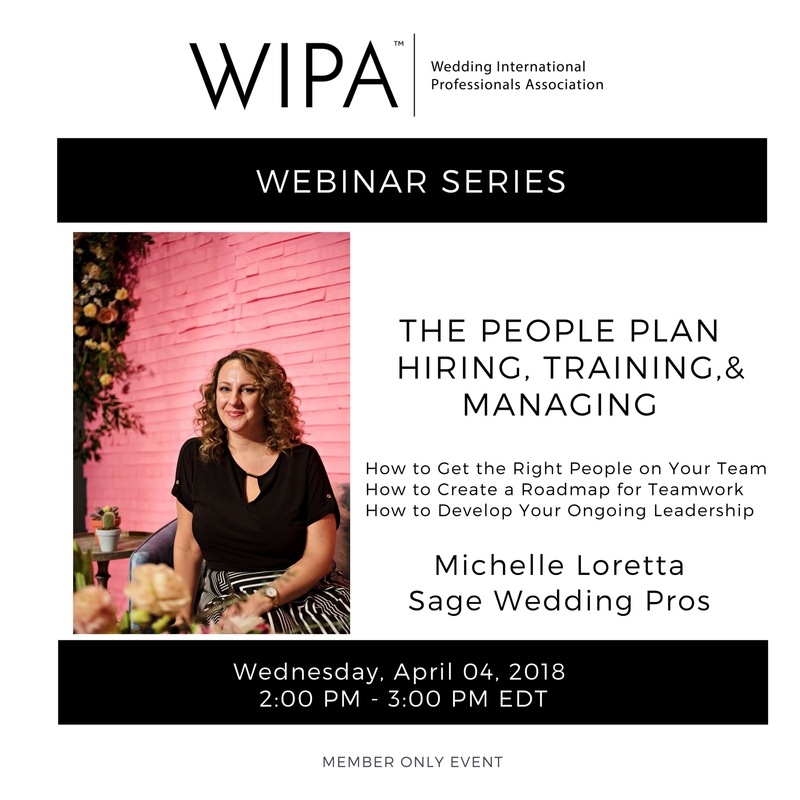 This is a “members only” resource so you must be logged in at WIPA.org with your personal username and password to access previous webinars. Also listed are the upcoming webinars scheduled for the first Wednesday of each month. So plan to take advantage of the expert presenters that are available to you at no charge. When the registration link is emailed it only takes a moment to register. 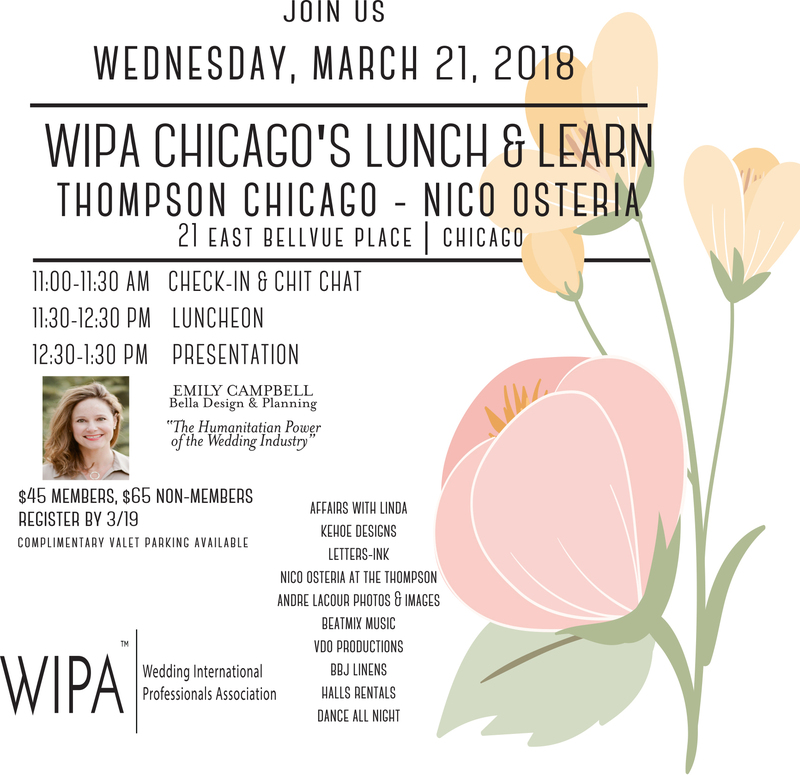 Thanks to the WIPA Advisory Board, Immediate Past President Brit Bertino has completed an effort to provide standard forms for many of the Wedding industry disciplines, AND, here is the best part, as a member of WIPA there is no charge for accessing the forms and using them whenever you need to find one for your business use! 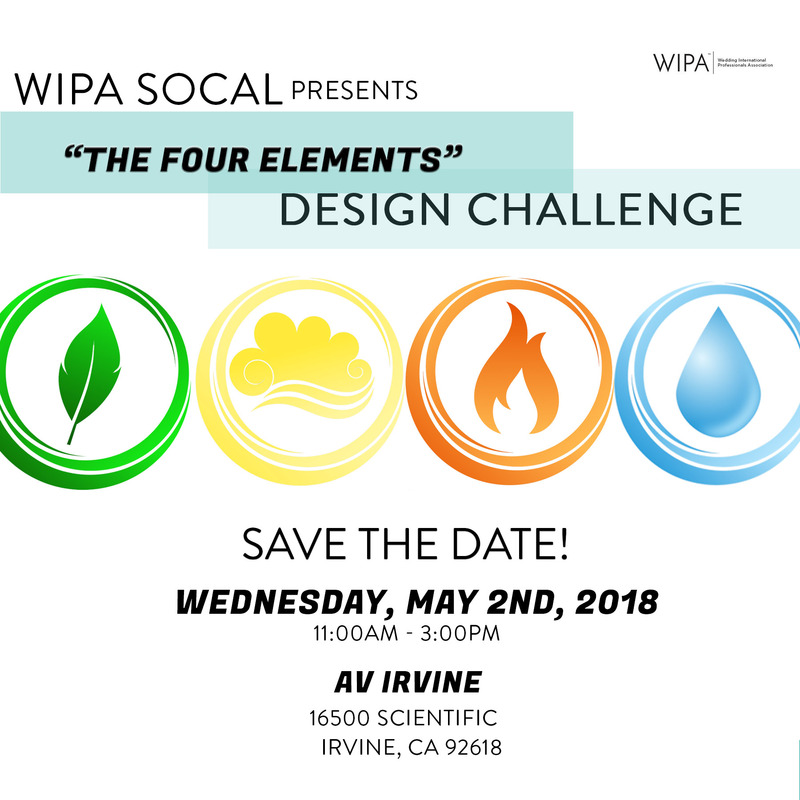 So please take a look at this valuable member benefit by logging in to the Members Only section of www.WIPA.org with your email and password. There under the Resource tab, you will scroll down to the Member Library and can download any of these forms for your use. We are a full-service event design and decor company that has built a reputation for innovative designs, personalized concepts and custom experiences for social and corporate events. We make ice cream bars, dip them in chocolate and toppings on-site at events. Visualanties was started in 2010 in New York City and has since moved it's main operations to Denver, Colorado with Mike Bradley as the lead cinematographer and editor. We have a seasoned and stylish crew of cinematographers and photographers ready to bring your story to life with skill and finesse. We travel frequently to New York and Florida for weddings and corporate events. Planning and designing luxury, timeless, elegant, weddings and events. The Westin Riverfront Resort & Spa, located at the base of Colorado's Beaver Creek Mountain is the perfect choice for the wedding of your dreams. Offering an impeccable setting for your special event, filled with inspiring views and Westin service. Full service floral and event design company located on the beautiful island of Oahu, Hawaii. Our company provides floral design and total visual coordination for your event. Dressed in your signature look, Passion Roots specializes in the personal event experience. Your wedding songs planner. Find songs for every aspect of a wedding from the time guests arrive until the last dance. Still photography services for wedding, social and corporate events, portraits. A one-of-a-kind dining experience enables guests to enjoy the authentic tastes of Greece while overlooking the gorgeous Las Vegas skyline. Lovely Event Planning offers exceptional wedding and celebration planning services throughout Westchester, Connecticut, Hudson Valley and beyond. Featherstone Studios provides advanced photo entertainment, such as Scribble Wall, to live events, as well as providing professional photography and videography services. Here is a little preview of the magic created this month for WIPA Socal first Educational Luncheon of the year. This brilliant teaser is created by the ever so talented and new to LA Alessandro Bordoni! A Sneak Peek at our Botanical Bliss Event hosted by Sassi Weddings. Bespoke Edge co-founder Ryan Wagner wrote an article for the Spring issue of Destination I Do on the topic of choosing smart suit fabrics for warm destination weddings. Also, BE was featured in Mountainside Bride for a styled shoot at the Bella Vista Estate in Steamboat. Ryan modeled two looks for 2018 groom's attire. Planning for this shoot was by Pink Diamond Events. Frank Event Design, Chicago, IL was featured in the Windy City Times Wedding Section. His “frankly speaking” advice column is a regular feature in this GLTBQ Wedding Guide. Christina Currie Events is excited to share with you about our newest team member, Assistant Event Manager, Olivia Zyzda. Olivia has joined the Christina Currie Events team as Assistant Event Manager. A graduate of Indiana University, Olivia shares her expertise in tourism, hospitality and event management with the team. Her zest for fashion, music and working with others is the perfect combination to assist with our affairs! She 'appreciates the small things in life,' a mantra we at Christina Currie Events, Inc. keep in mind while working with our clients. Welcome, Olivia! Elegant Vegas Weddings just added Rev. Ami to their family of ministers. Rev. Ami fills a void in the wedding industry by performing not only traditional ceremonies but also “Showgirl” type ceremonies. She comes attired with feathers and sequin adorning her showgirl outfit. She has also appeared as Wonder Woman and working on a Cher impersonation for weddings and guest appearances. Visit www.elegantvegasweddings.com to see our complete family of ministers to include The Original Mob Minister, Santa Bob, The King (Elvis) and several others. Laurel & Rose was featured in: BRIDES #1 Feature: Matt Duchene wedding in the woods, BRIDES #2 Feature: Santa Barbara wedding and Loverly Top 25 Planners to follow on IG. Mountain Shadows just received a AAA Four Diamond Award. Some recent press mentions for Mountain Shadows are Outstanding Occasions and Arizona Weddings. 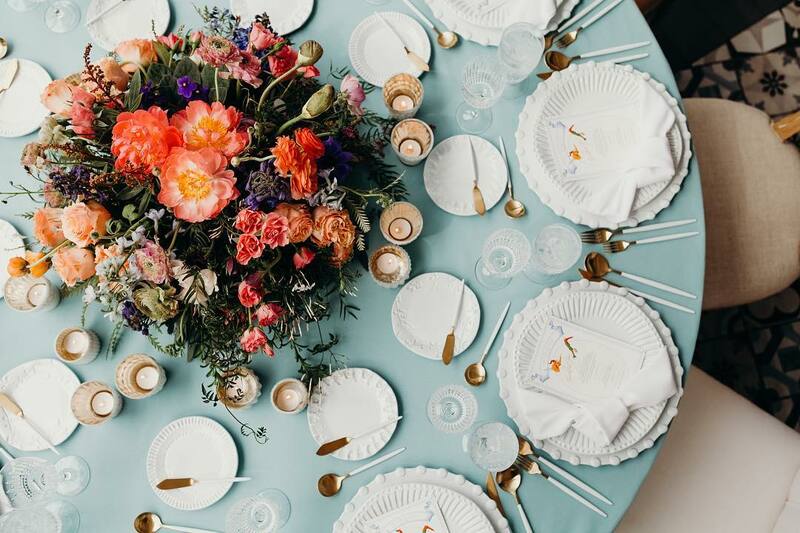 Leslie Mastin Events was featured in Marth Stewart Weddings for their involvement in planning a wedding for Wish Upon a Wedding’s New York Chapter. They will also be featured in the Spring/Summer print issue of Inside Weddings on stands March 13th! 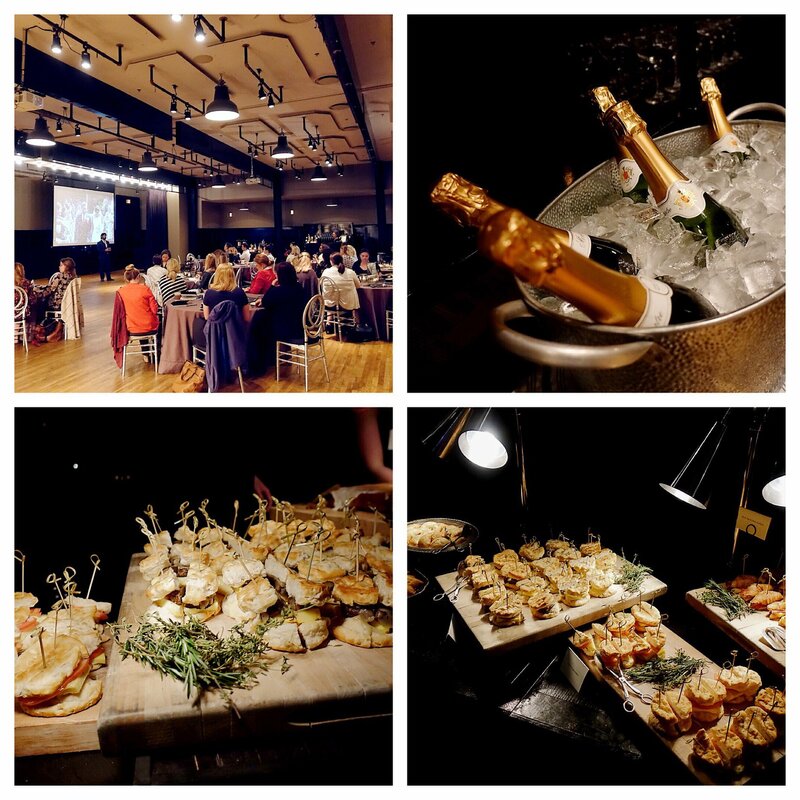 Larkspur Events & Dining was featured in Colorado Meetings + Events for their culinary programs in the most recent winter issue. Phillip Van Nostrand was named one of the top event photographers in New York City by PartySlate, the premier website for venue and event professionals. Moxie Bright Events was featured on Green Wedding Shoes for their Mexico City meets Palm Springs in DTLA inspired shoot at City Libre. Moxie Bright Events also had a real wedding published in California Wedding Day featuring a modern & musical wedding at The Ebell of Long Beach. This wedding was also featured in their recent print edition as well! 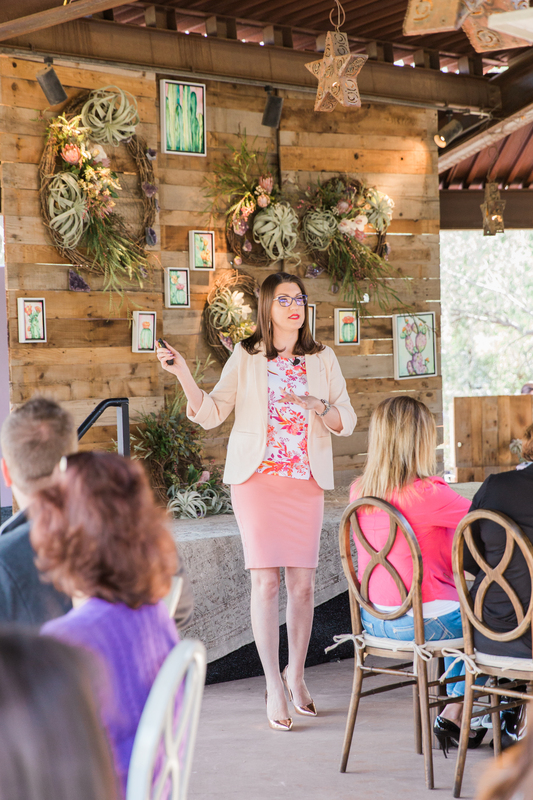 Lastly, Renee Dalo, owner of Moxie Bright Events, was quoted in Real Simple in their article on Engagement Party Planning advice. Alan Katz of Great Officiants just booked another speaking gig for an annual sales meeting for a National Golf Course chain. He will be speaking on ceremony essentials and how to get 5-star reviews as well as ordaining all of their catering managers great Officiants also welcomes Al-x to their team of Officiants and Notaries. She will be issuing Marriage Licenses at their Long Beach Wedding Chapel and also deliver them to couples homes, office and weddings. Al-x is fluent in Japanese and Tagalog (Filipino) as well as English and will be serving those communities as well as the other couples who like her friendly style. The Bridal Extravaganza of Atlanta is pleased to announce new ownership! Shelly Danz, owner of Atlanta Party Connection and the producer of the Bar/Bat Mitzvah EXPO for nearly a decade, is looking forward to continuing this iconic bridal show’s history of delighting and supporting brides during the wedding planning process while connecting them with partners like you, at the forefront of their specialties. Shelly is excited to work with all of you! LUXE Linen was featured in Style Me Pretty for a gorgeous blue and white wedding in Malibu. They were also highlighted on Belle the Magazine for a vibrant South Asian fuchsia wedding at Vibiana. The Bently Reserve, San Francisco’s premier LEED-certified meeting, and special event venue, in partnership with AllSeated is the first event venue to offer virtual reality planning and 3D diagramming allowing planners and clients to experience their event or wedding before it happens. With AllSeated’s 360 RealPlans-3D, clients can virtually walk through the Bently Reserve to see the layout and experience their event through a variety of VR headsets including Facebook’s revolutionary Oculus, HTC’s Vive, and the Samsung Gear VR. Emily Sullivan Events: Emily, Owner of Emily Sullivan Events shared insight on hosting a wedding weekend on My Hotel Wedding. She also recently enjoyed guest articles on Wedding IQ and Catersource. Sandy Hammer, Co-Founder, and CMO of AllSeated, explores Designing in 3D at NACE Houston on March 21. Kevin Dennis Wedding IQ shared his 4 steps to managing time effectively with WeddingWire EDU. He also recently shared insight with guest articles on Catersource and Special Events. Belladuex: Kim Sayatovic, owner of Belladuex was quoted on SheFinds in the ultimate guide to daytime weddings. She also had a feature article on Catersource about navigating millennial clients. Meghan Ely, owner of OFD Consulting has been confirmed as a speaker at ENGAGE in Banff, Canada this summer, June 18 -21. 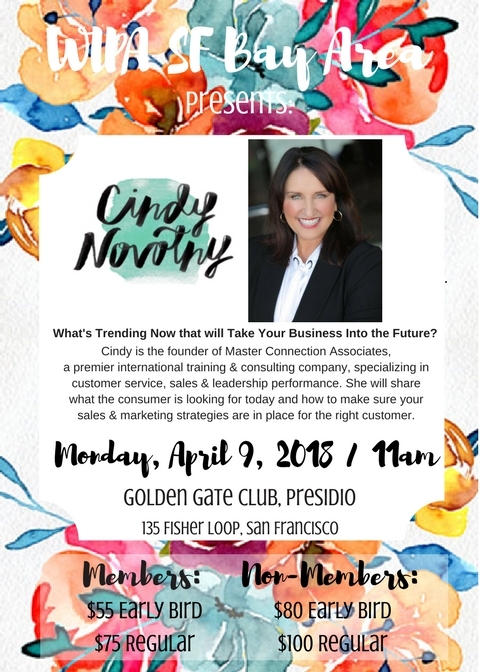 Next month, she'll be traveling to Miami to present on Surprise and Delight at WeddingWire World. CulinAero by Proof of the Pudding wins two 2018 Allie Awards for BEST TEAM EFFORT and BEST ON-PREMISE CATERING for their innovation and overall creativity on a Superhero themed breakfast event at the Georgia International Convention Center. Proof of the Pudding recently hired Hannah Baber as the Senior Sales Manager to manage Zoo Atlanta events with a focus on Savanna Hall, a one-of-a-kind event facility accommodating guests up to 1500 slated to open Fall 2019. It will overlook the wonders of an all-new African savanna, where African elephants and other wildlife will roam new and significantly expanded habitats. Proof of the Pudding ‘s convention center division expanded to Mountain town as the exclusive in-house caterer for the Gatlinburg Convention Center. The POP team recently hired General Manager, Jeff Kleoudis, Sales Manager, Angelia Maddox and Executive Chef, Jefferson Mitchell. Jennifer Phelps joined BBJ Linen as the new Regional Director of Sales for the Western Region including California, Oregon, Washington, Alaska, and Hawaii. Jennifer brings over 20 years of sales experience to the BBJ Linen team and will be based in the bay area. We are excited to have her as part of our growing dynamic team. BBJ Linen launched the Sonoma Collection, the first linen collection of 2018. This collection focuses on organic fabrics and colors, perfect for events year round. WIPA NYC’s first event of 2018 will take place on Monday, March 26th. The Glass Houses will host the event in their beautiful penthouse with spectacular views of the New York City Skyline. The evening’s guest speaker is Jess Levin, Founder, and CEO of Carats & Cakes, and she will discuss “The Business of Diversification”. Get ready for a breathtaking and educational experience! Balloonzilla was given the pleasure of decorating the Posh Bridal Affair at historic Millennium Biltmore in LA. In addition, Green Wedding Shoes recently featured Balloonzilla's "Love Colorfully" shoot. They have also gained more team members, including a Public Relations Assistant. 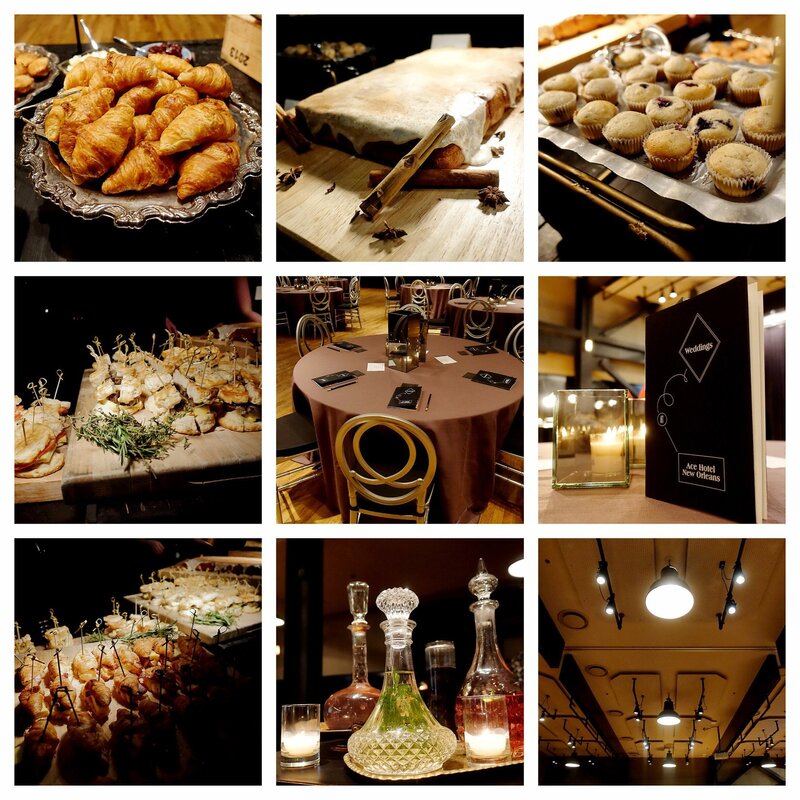 Solage, An Auberge Resort, has received Leader status within the James Beard Foundation's Smart Catch program. Gillian Marto, owner and lead designer for Gillian Marto: Events of a Lifetime, was named as the Atlanta Event Industry's 2018 "Rising Star." This honor is bestowed each year at the Allie awards to an event planner who is nominated by his/her peers and recognized for innovation, leadership and impact in his/her professional associations and community at large. Gillian Marto, Events of a Lifetime was honored with three Allie Awards at the recent gala held at the Coca-Cola Roxy Theater. Events of a Lifetime took home the Allie for "Best Wedding" for the luxury wedding entitled "License to Thrill." EOAL's new, corporate division was honored with two Allie Awards, one for "Best Tradeshow/Conference" for the Intercontinental Hotel Group's 2018 Benefit Roll-out, and a second Allie for "Best Corporate Event" for the celebrity event produced for JetSmarter's Atlanta introduction. Events of a Lifetime has welcomed Debra Hull to expand the company's new Corporate, Charity and Medical divisions. Ms. Hull is a marketing and PR strategist, professional writer, and video producer with more than 20 years experience in conceiving and coordinating corporate, charitable and medical events. Ms. Hull can be reached at 770.595.9115, or online at Events of a Lifetime. Premiere Party Rents is featured on Brides for a Malibu Wedding With a View. 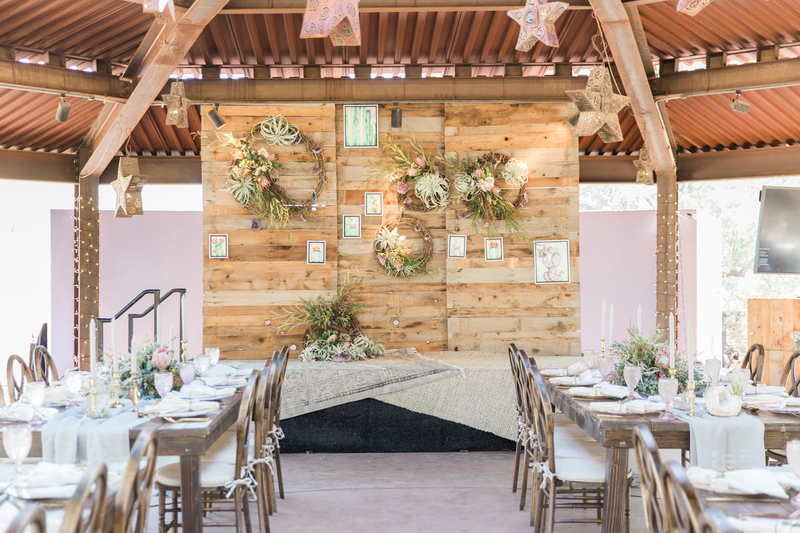 Premiere Party Rents is also featured on Ruffled for an Eclectic LA Wedding with Pomegranate and Caribbean Blue Hues. It was a busy start of the year for figMEDIA as co-owner and founder Michele Gustin was an expert on the creative panel for C3 Creative Coalition on How Do You Get Your Inspiration where she discussed the job it is to stay inspired and the many ways that she does so. figMEDIA’s figWeddings team rocked and rolled as the Photography, Film & DJ partners for the 11th year with Modern Luxury’s Evening of Bridal Luxury. Lead by WIPA’s very own Amy Allen, a yearly event with Vera Wang, HMR, Minotti and Elizabeth Grace at the Ritz Carton on March 4th. figMEDIA’s figWeddings Photography Team will be on location shooting the 17th Chicago Bridal Showcase Champagne Breakfast, Sunday, March 11th @ 11 am at the Intercontinental Chicago Mag Mile. 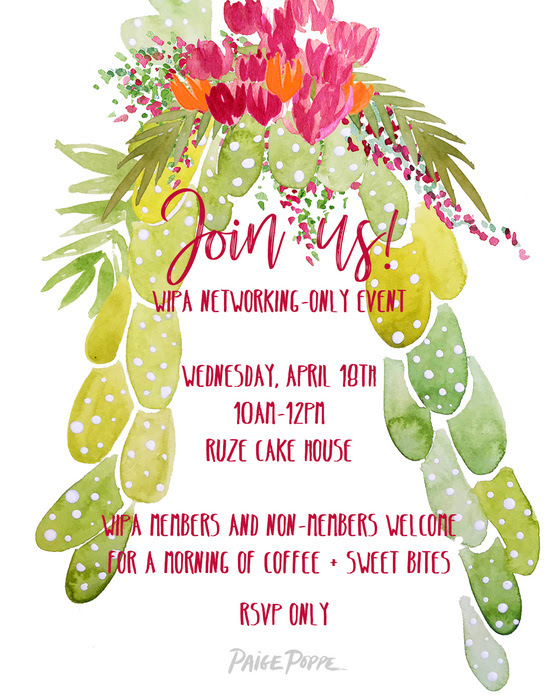 Please email [email protected] if you would like to be our guest! figMEDIA’s figWeddings Deejay team will support the Dimitra’s bridal event at the London House on Tuesday, April 10th, please email [email protected] if you would like to be our guest!